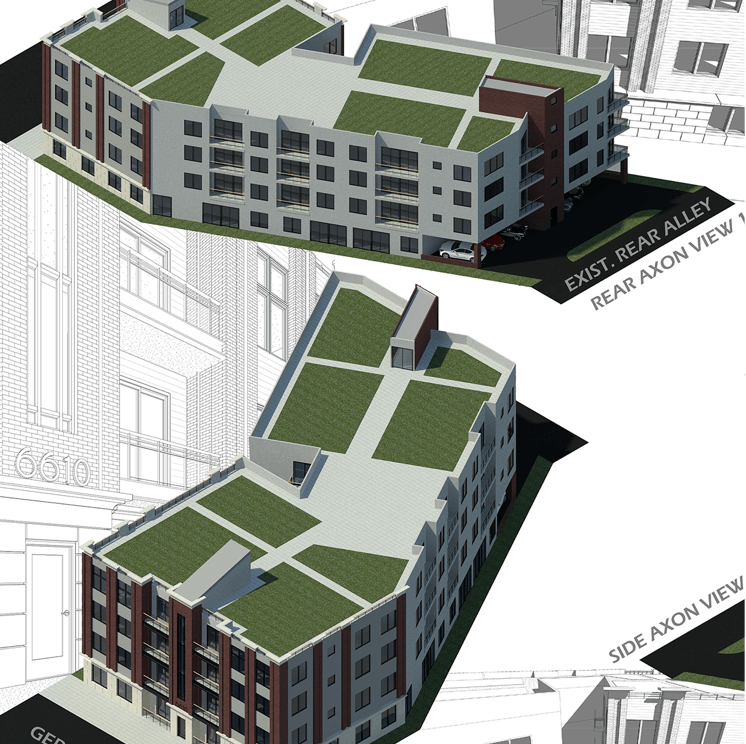 Design for a 4-story multi-family apartment complex in Germantown, PA. 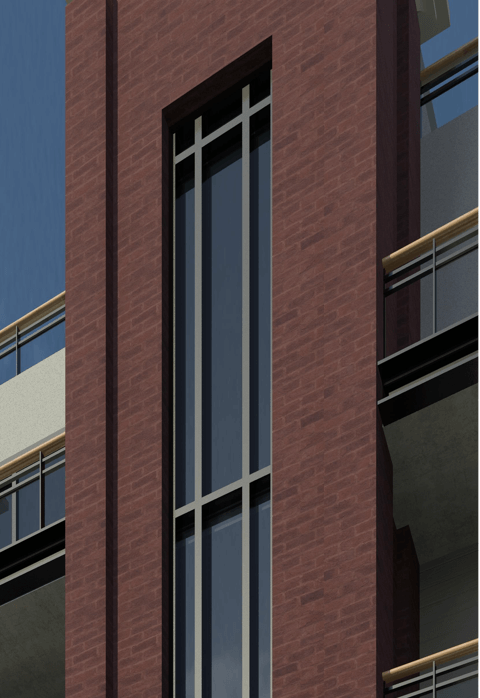 Designed to a more traditional aesthetic, in keeping with the red brick & classic Philadelphia vernacular present in Germantown, this building features a rusticated brick façade with limestone base & large cornice. 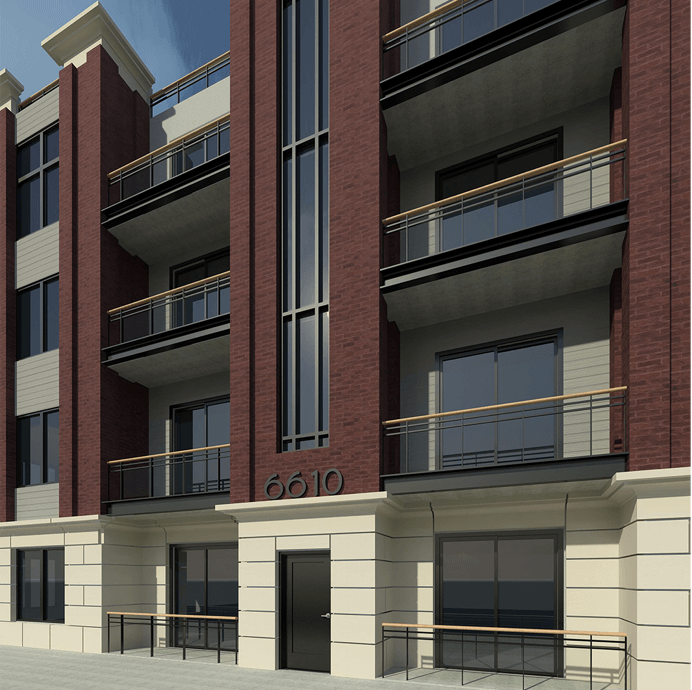 Units feature open floor plans, 1-3 bedrooms each, private outdoor balconies, and access to a shared roof deck with additional greenspace.